The engine maker could be planning to cut its dividend for the first time in almost 25 years. 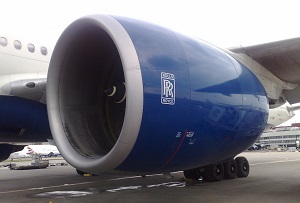 Rolls-Royce is having a tricky time of things at the moment. The aero engine maker has put out five profit warnings over the last couple of years and its share price has been on the slide – at the moment it is plumbing depths not seen since 2010. And it took another hit this morning, dropping as much as 7.4% to 507p. That’s no surprise given reports over the weekend that the company is considering slashing its dividend by as much as half – which would be its first divi cut in nearly quarter of a century. It hasn’t confirmed the plans but the rumour has clearly spooked investors, who were already bracing themselves for bad news in Rolls-Royce’s annual results on Friday. Slashing the dividend would be a bold move by boss Warren East, who faces an uphill struggle to turn the firm around. It might irritate shareholders but it would also free up cash for the company to invest in growth. East has wasted no time in swinging the axe since taking over last July. He simplified the firm’s structure (booting out two senior execs in the process) and plans to slash costs by £150-200m this year. There are few signs that has placated investors though – the firm’s shares have continued to slide and are down 6.6% in the last month. At this rate rumours of a BAE-Rolls-Royce mega-merger seem increasingly realistic.